Early-stage investor Ventureast Fund Advisors India Ltd is raising a new $4 million ($26.6 crore) fund to make angel and seed investments in digital healthcare startups. 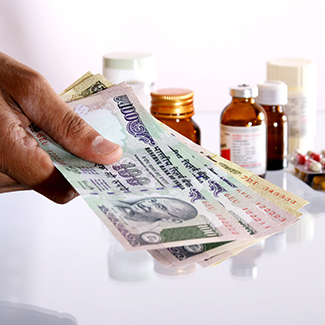 This fund is an “independent initiative” as part of the healthcare series, a company spokesperson told VCCircle on Friday. “We got the idea of raising this fund as our healthcare fund is fully invested. And in the meanwhile, we have been coming across a lot of opportunities,” the spokesperson said. The VC firm’s last healthcare fund was Ventureast Life Fund III LLC, which is fully deployed. This fund raised $93 million. Separately, the VC firm is also raising its sixth fund—Ventureast Proactive Fund II—with a target corpus of $150 million. In October 2016, VCCircle reported that this technology-focused fund hit first close at $83 million and that the final close was likely in six months’ time. The spokesperson, however, said there is no update yet on this fund. News of the new fund was first reported by The Economic Times, citing Bobba Venkatadri, general partner at Ventureast. The report said that the fund was likely to start investing in mid-2017 and that it was looking to co-invest in six to eight digital health startups. The report also said that Ventureast would put in half of the $4 million and raise the remaining from high net-worth individuals. Ventureast is looking to make early-stage investments through the new fund and that this would help the firm identify potential candidates for future investments, it added. Note:- This article has been updated to correct the amount Ventureast raised in its last healthcare fund.